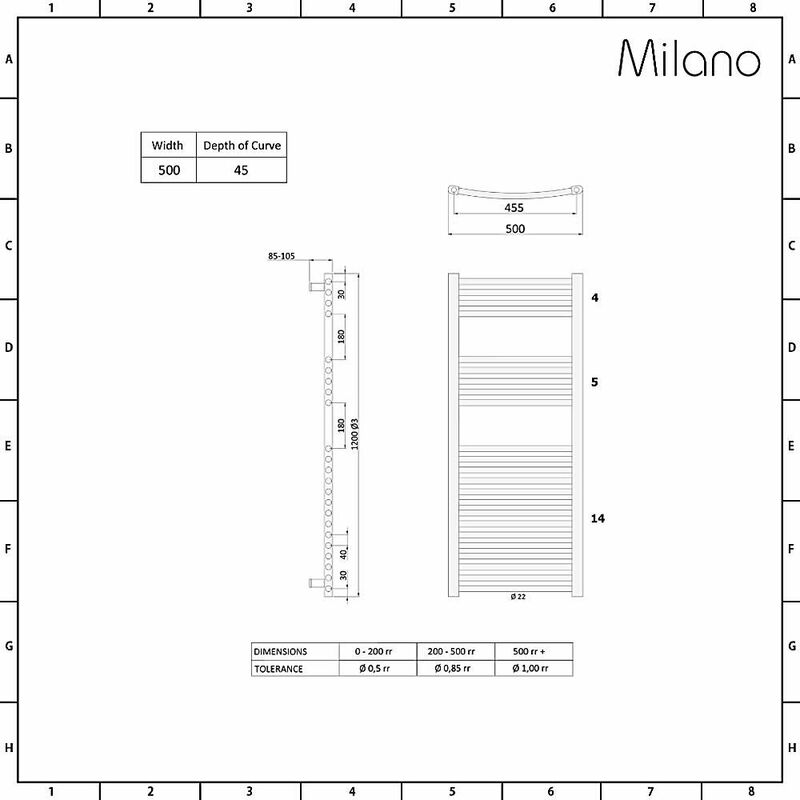 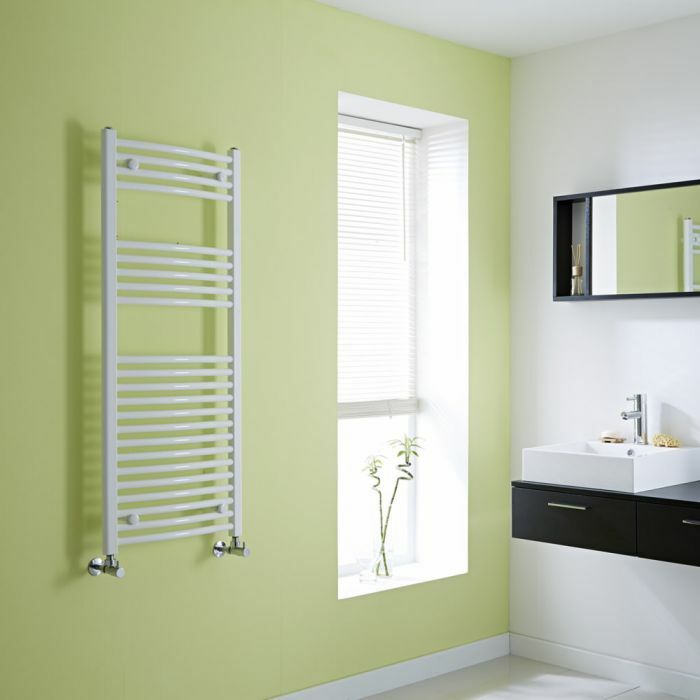 The Milano Calder 1200mm x 500mm white curved heated towel rail features a clean, minimal design making it a perfect choice for modern bathrooms. Combining stylish looks with superb functionality, this heated towel rail has a hard-wearing white powder coated finish that teams well with any décor and a ladder-style design with a curved profile, giving you plenty of space to keep your towels neat and organised. 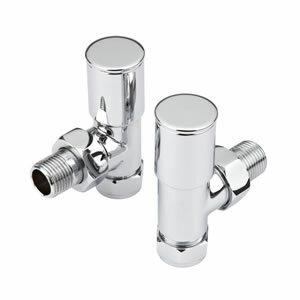 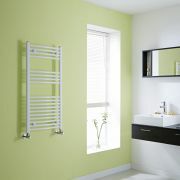 The excellent hourly heat output means your towels will feel luxuriously warm in no time. 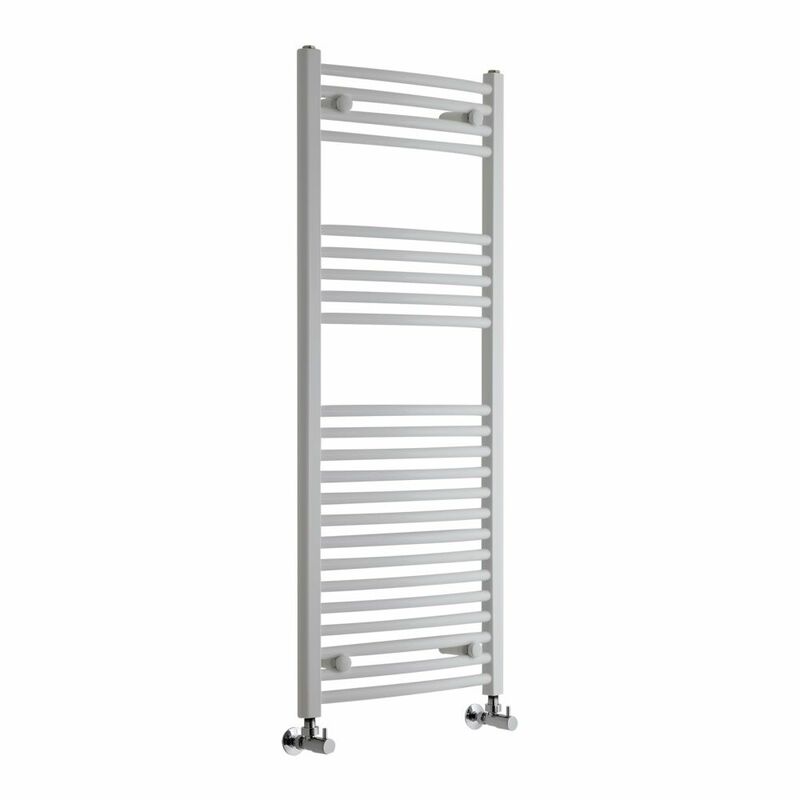 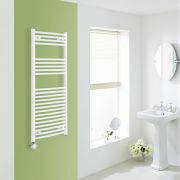 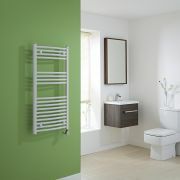 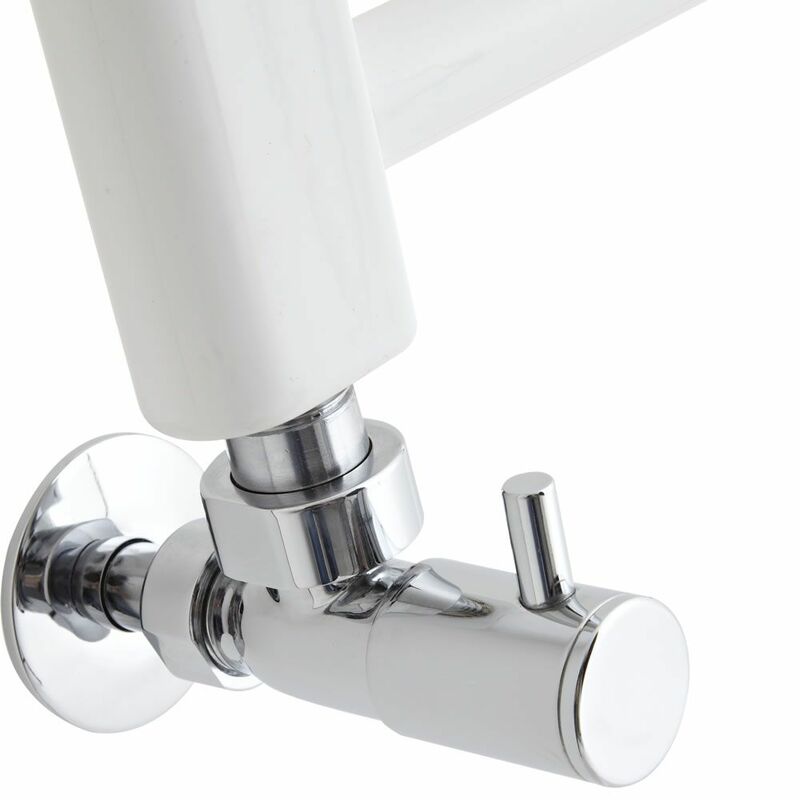 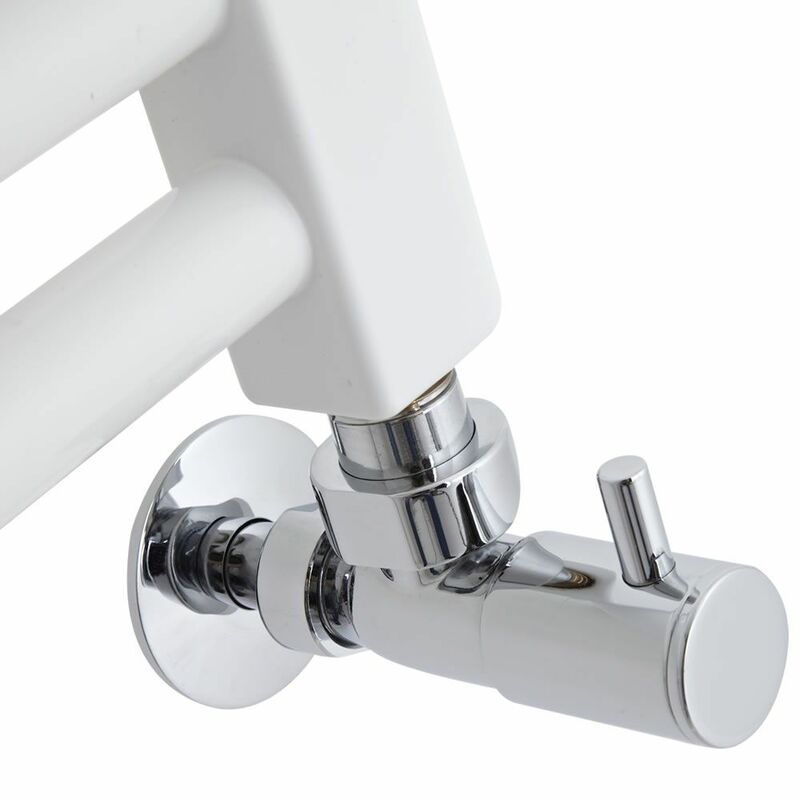 The Calder heated towel rail has been made from premium quality steel, guaranteeing durability and high performance.